Adventure Day Camp is a great opportunity for local families to take advantage of a premiere program for one to six weeks this summer! The camp is geared for ages 5-10, runs Monday to Fridays, from 8:00 am until 4:30 pm, and includes breakfast and lunch! The adventures include enthusiastic counselors (1 counselor for every 5 children), excellent programming, and energy-filled activities, such as low ropes course, indoor rock climbing, canoeing, crafts, and games. All of this for $200 per child, per week. What to pack for the day: We highly recommend packing sneakers as well as flip-flops, a beach towel, sunscreen, a water bottle, and a modest bathing suit. Please label all personal items, as Camp Spofford takes no responsibility for things that are lost or stolen at camp. On rainy days, we ask that you pack each child with rain gear such as rain-boots, rain-jackets, and a sweatshirt, should it be cold. Camper Check-in is on Monday between 7:45am and 8am at the Camp Spofford Gym, please plan to be at Camp with your child for 1/2 hour. We ask a parent or guardian to be with the camper at the time of check-in so we can go over medical forms, emergency contact information, and sign in and sign out procedures. Tuesday- Friday check-in is at 8am. Pick-up is at 4:30pm. 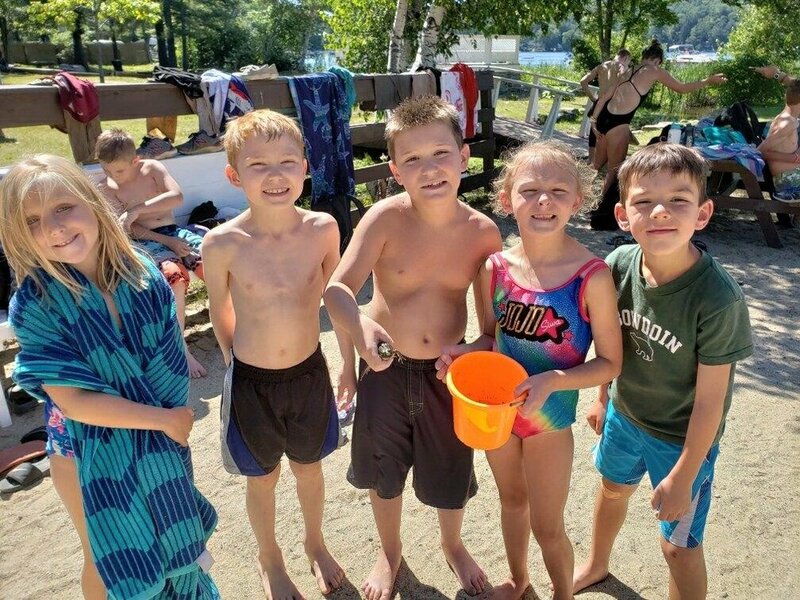 A Camp Doctor Form must be uploaded to your Camp Spofford account or in hand when you check your child in on Monday. No need to feed your children before camp or pack a lunch, camp provides your child breakfast and lunch! Each afternoon during our beach time, your child will have the option to go to the snack shop. If you would like your child to go to the snack shop, please bring your child’s money (in an envelope or bag with their name labeled on it) Monday morning and give it to the counselors at check in (suggested amount $3-5 for the week). Parents please label all clothing and accessories. Camp Spofford will not take responsibility for things that are lost or stolen at camp. Unmarked items will be donated or thrown away. For an additional $25 you can Pick-up your child at 5:15pm at the Gym, dinner not included.